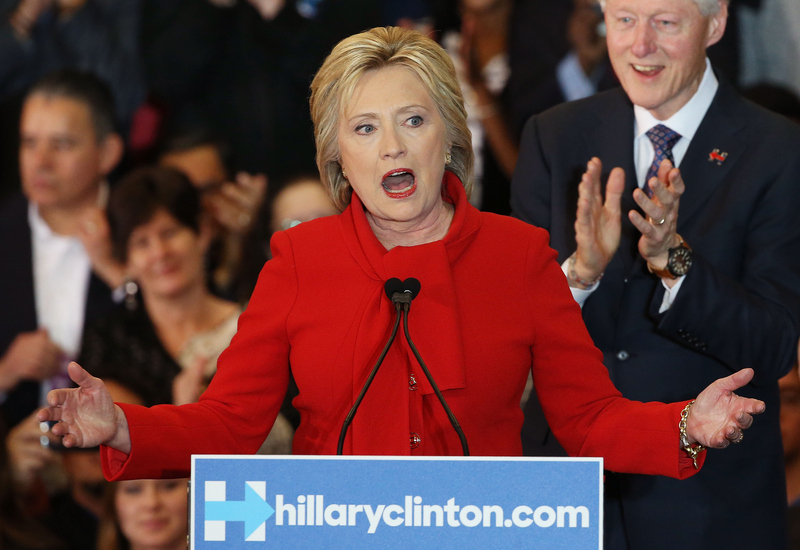 Even though it's far closer to a tie, Hillary Clinton is claiming the Iowa caucus as a victory, the first state conquered in her path to the presidency. The former secretary of state's Twitter feed is a stream of bilingual thank-you notes to the Hawkeye state. In the wee hours of Tuesday morning, the Iowa Democratic Party (IDP) officially declared Clinton as winning 700.59 state delegate equivalents to Bernie Sander's 696.82. But did months of campaigning, organizing, and drinking many cups of coffee with Iowans pay off for Clinton last night in a meaningful way? The short answer: No, or at least, not as much as Clinton would have liked. You don't have to be Nate Silver to realize that Clinton won Iowa by the slightest of margins. In fact, "won" doesn't feel like the right term when it boils down to her currying the teeniest bit more favor, with 49.8 percent of Iowa Democrats compared to Sanders' 49.6 percent. The man once brushed as a radical socialist, or a joke for even thinking he could be a speed bump in Hillary's road to the White House, has proved to be more than a formidable challenger. There's a reason that IDP Chair Dr. Andy McGuire didn't technically call Clinton the "winner" in his official statement, instead stressing that this year's caucus was "historically close." And because Clinton can just barely claim Iowa as a win, her supporters seem desperately insistent on labeling it one. Jess McIntosh, the Vice President of Communications for EMILY'S List, sent out a press email heralding Clinton's victory, writing "won" a glaring eight times in less than 200 words. Clinton's declaration in her post-Iowa speech that she was "breathing a sigh of relief" seemed to far more accurately convey the state of her campaign: victorious but fragile. We’ll need to see if Sanders can do better in a state that is more moderate than Iowa before thinking he can win the nomination. Enten pointed out that both Iowa and the upcoming New Hampshire are pretty darn white, and it's with nonwhite voters where Clinton strongly outperforms Sanders. If he doesn't gain more popularity among nonwhite Democrats, "he’ll continue to be an underdog," Enten concluded. In New Hampshire next week and in the state primaries after, Clinton and Sanders won't only be battling for votes but also for the more nebulous and debatable title of "winner." Claiming victory ― even if it doesn't show in the numbers at the polls ― means that your campaign has got the momentum. It doesn't matter that Clinton technically won Iowa, or for that matter that Sanders has garnered nearly the same number of state delegate equivalents. Rather, what matters right now, especially as the Democratic field officially narrows to just two, is which candidate can say they are the one with the energy, passion, and whatever other vague juju to slog through the Granite State, South Carolina, and on to the White House. At this point in the Democratic race, numbers may take a backseat to less quantifiable factors. It's simply too close to call anyone a winner.